The i-See HD, our 720p High Definition Model, offers the user a truly stunning picture quality combined with superb functionality, adjustable settings and stylish ergonomic design that can be adjusted to suit the individual’s specific requirements. This unique magnifier comes with a beautiful 19” widescreen monitor and all the features you expect. 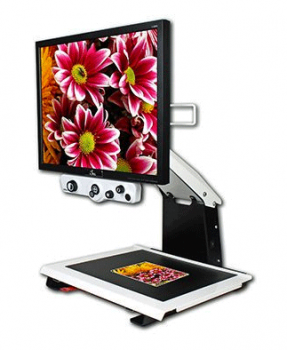 And this HD desktop video magnifier comes to you at a price comparable to low-end machines, but is made in Europe with the strictest quality standards, developed and manufactured in Europe by the well-known developer Rehan Electronics. The i-See offers the user a truly stunning picture quality combined with superb functionality, adjustable settings and stylish ergonomic design that can be adjusted to suit the individual’s specific requirements.